We’ve been vacationing in PCB for 30 years and finally decided to buy our own vacation home on the beach in 2015. 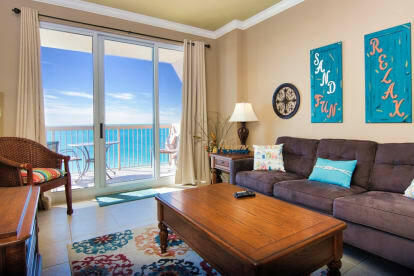 This is our vacation home and we are regularly updating furniture, decorations, and paint. We’ve been involved in managing condo rentals on and off for the past 10+ years, so we have a pretty good idea of how to make your stay comfortable and memorable! Our condo offers everything needed for a worry-free luxury vacation on the Gulf of Mexico with fantastic views from the balcony, convenience to shopping and attractions, and a host of restaurants nearby.